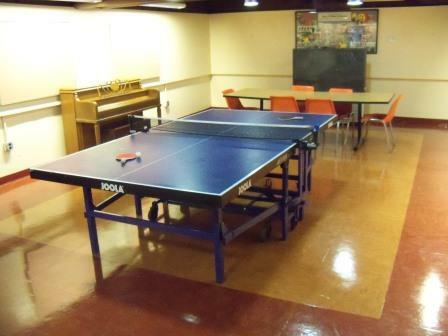 The Recreation Room is the second largest group room in the house and is located on the basement level. 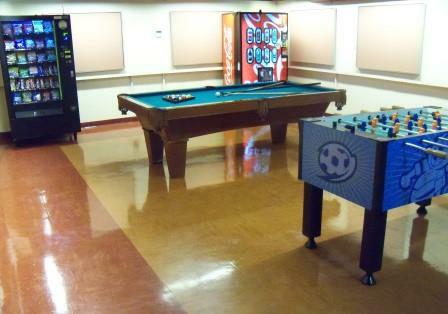 The room has a 57" TV, couches, piano, ping pong table, foosball table, Billiard (pool) table and vending machines. Along each wall in the room several collages are displayed depicting past residents and house events.